The Beacon Street Union was an American psychedelic rock band in the late 1960s, named for a street in their native Boston. 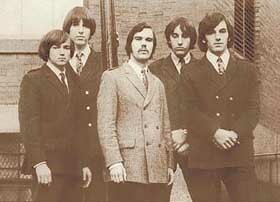 The band was composed of Boston University students, singer John Lincoln Wright, guitarist/singer Paul Tartachny, bassist/singer Wayne Ulaky, keyboardist Robert Rhodes and drummer Richard Weisberg . With the exception of a few rock standards, their diverse music was composed by members of the band, primarily Wright and Ulaky.